Find out why doctors, health professionals and personal trainers recommend Fitium for healthy and effective weight loss. Unfortunately, there is no “quick fix” to good health. Being healthy requires a lifelong commitment to healthful lifestyle behaviors, consisting of both sustainable eating practices and daily physical activity. choosing among them can be overwhelming to consumers. Fitium is an innovative web-based program that was specifically designed to make your weight loss sustainable. In contrast to most commercial weight loss products, Fitium is supported by solid scientific evidence. Successful programs must not only allow for structured self-monitoring and goal setting, but also individualized feedback. Fitium does just that. While many online diet and exercise programs offer a one-size-fits-all approach, Fitium is a novel program in that it delivers personalized, customizable tools to help you to track your diet and exercise, while providing personalized feedback and support. Self-monitoring is a central tenant of behavioral modification strategies used to make lifestyle changes and several studies have demonstrated that computerized menu planning and dietary monitoring systems are valuable components in weight loss interventions. According to a study from Kaiser Permanente’s Center for Health Research, logging daily food intake through programs such as Fitium can double a person’s weight loss. By encompassing all of these key components, in addition to providing practical guides written by nutritionists and personal trainers, Fitium will motivate you to make lasting changes to both your diet and lifestyle so that you not only lose unwanted pounds but also maintain your healthier new weight. Fitium is appropriate for use by anyone who is looking to incorporate healthier habits into their daily life. I recommend Fitium’s weight loss program because it is grounded in the latest research and it will help you to reach your health goals today and beyond. obese adults: randomized controlled trial comparing basic versus enhanced features. J Med Internet Res. 2012 Apr 25;14(2):e57. 2. Saperstein S, Atkinson, N, Gold R. The impact of internet use for weight loss. Obesity Reviews. 2007; 8(5):459-465. Doctor: Melissa Milan, MD, MS.
Dr. Milan is a graduate of Georgetown University School of Medicine. She completed internships in Family Medicine and Internal Medicine. She has a strong background in preventative and sports medicine and is an avid mountain biker, runner, and triathlete. Fitium is an amazing, personalized resource that is designed to help anyone reach their target health and fitness goals. It’s run and managed by a personable, caring, approachable staff, each of whom has a wide variety of expertise. These experts answer questions and contribute to the site adding practical guides and resources. On many diet and fitness websites, the staff is unavailable and unseen. That isn’t the case with Fitium, which is a huge bonus in my opinion. Fitium’s weekly wellness challenges will keep you engaged, interactive and give you the kind of variety and motivation you need to meet your ideal weight. Most importantly, Fitium is individualized and designed to address each person separately, without lumping everyone together in one category, targeted with one weight loss solution. I think Fitium’s individualized approach is key. As an M.D. and holistic wellness coach and consultant, I’ve learned that we all have different diet and fitness obstacles, meal habits, and motivational levels, that one solution doesn’t work for everyone. Fitness solutions need to be tailored, which is exactly what Fitium does. From personalized diet advice to tailored meal plans, Fitium makes it a lot easier to get lasting weight loss results. Another great element of Fitium, is that it allows for its members to maintain accountability of what they are eating and his or her caloric intake. Maintaining accountability of what one eats is so vital to any diet and fitness plan, and Fitium’s program allows for you to do that in a simple, user-friendly way. I’d whole-heartedly recommend www.Fitium.com to any of my wellness clients and to anyone trying to lose weight, eat healthier or get more fit. Doctor: Dr. ErinKate Stair, M.D. Dr. ErinKate is a West Point graduate and Global Health Leadership Scholar at New York University. She is the founder of www.bloomingwellness.com, a holistic wellness coaching practice in New York and is the chief editor for the Alternative Mental Health News. Finally…fitium! 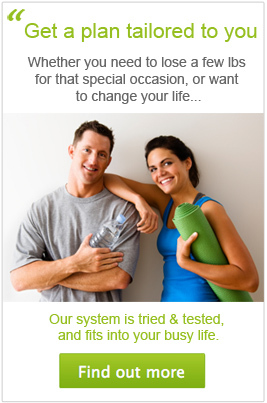 Fitium is a reliable and effective online approach to help people lose weight fast and get fit. As a pharmacist and health care educator I am constantly searching for tools that I can recommend to my patients who want to develop healthier lifestyles. Far too often this search ends in disappointing results. Fat burners, carb blockers, appetite suppressants and metabolism boosters tend to produce minimal benefits and only address one dimension of the weight loss problem. What is really needed is a complete system that focuses on helping people make positive lifestyle changes, promoting a healthy diet leading to long-term success. This is where fitium comes in, providing a proven, personal and practical approach to making your fitness and weight loss plan work! I recommend fitium first and foremost because their approach is proven. The site is packed with valuable resources, grounded in the best medical research on weight loss and fitness. From their professionally written articles to their comprehensive database of foods and activities, fitium provides trustworthy tools for men and women of all ages. Second, I recommend fitium because their approach is personal. Unlike other plans and programs, fitium tailors their advice to your particular needs and goals. In this way they help target some of the main causes of weight gain (not just the symptoms), providing personal advice to deal with a user’s most stubborn fat challenges. Third, I recommend fitium because it is practical. Weekly coaching helps keep users motivated to succeed, leading to faster results. Meal plans are realistic, focusing on foods that are both healthy and satisfying. Their tracking tools provide visual reinforcement of progress to keep users engaged and excited about reaching their goals and improving their health. I am excited to recommend a proven, personal and practical approach to weight loss and fitness. Pharmacist: Jason Poquette BPharm, R.Ph. Jason is a 1993 graduate of the University Of Connecticut (UConn) School Of Pharmacy. His pharmacy career has involved extensive work in variety of retail pharmacy settings, pharmaceutical education, formulary analyst, public speaking and writing. Jason is an active member of the Massachusetts Pharmacist’s Associate, his local community and his church.